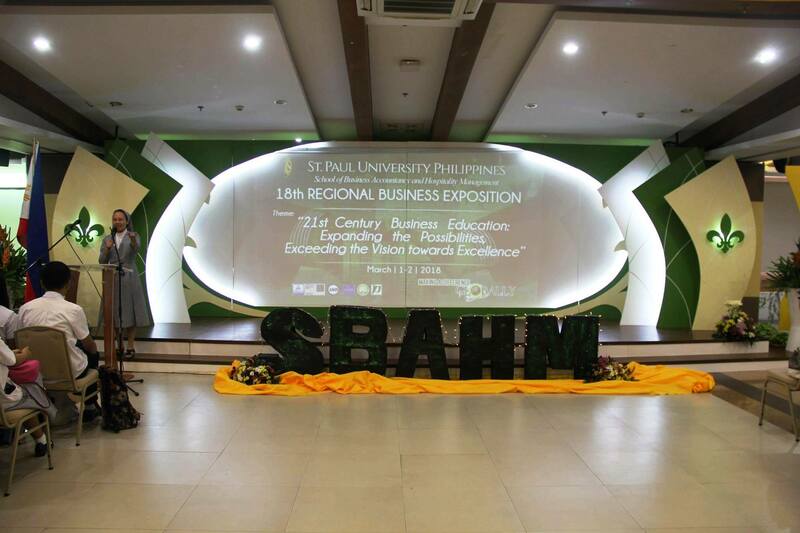 St. Paul University Philippines through the School of Business, Accountancy and Business (SBAHM) held the 18th Regional Business Exposition with the theme, “ 21st Century Education: Expanding the Possibilities, Exceeding the Vision Towards Excellence”. This year's expo was participated in by Business, Accountancy, Entrepreneurship, Tourism and Hospitality students as well as Faculty members of the different Higher Education Institutions in Region 02. The activities during the 18th Regional Business Exposition gave the participants intensive exposure to different topics which they may utilize in the business world, where global competition is rampant. The event contributed to the aim of the 21st Century Business where innovation of new ideas, products and services will create methods for the provision of a more fulfilling customer experience. 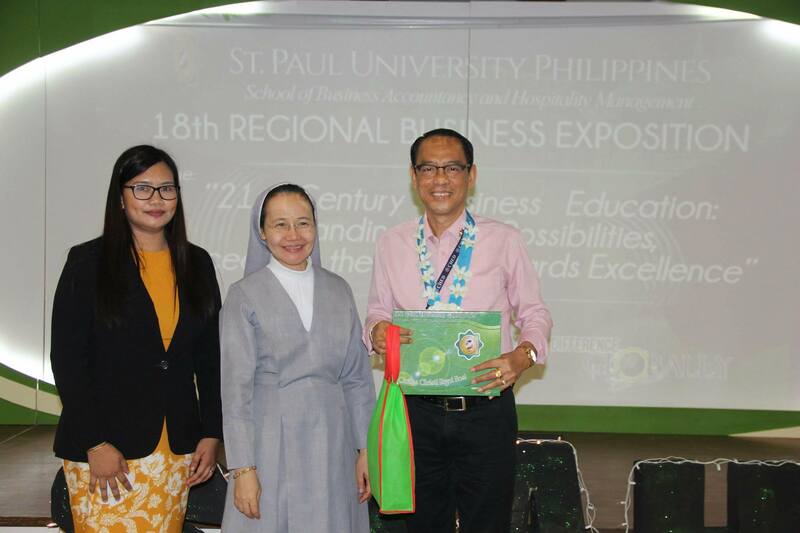 The Business Exposition started with a Eucharistic Celebration followed by the opening of the Exhibition area. The University President, Sister Merceditas O. Ang, SPC, gave her welcome remarks followed by the statement of purpose by Mrs. Marie Krizya M. Calagui, the Chairperson of the 18th Regional Business Expo. The Director IV of CHED Region 2, Dr. Honorato Alzate, CESO III delivered his keynote address which truly inspired the participants. The first technical session was led by Mr. Miguel Lim, the co-founder of Golden Press, with his presentation on “The New Entrepreneur (Entrepreneurship in the Changing Environment)”. The speaker for the second technical session was Dr. Giged Battung, the the E-Learning Coordinator of St. Paul University Philippines with her topic on Total Quality Management. Simultaneously, a technical session for the Accompanying faculty members was led by Dr. Jocelyn Carag, the Education Supervisor of the Business Cluster of the Commission on Higher Education Region 02; while, the HRTM group was led by Ms. Michelle Domingo, the general manager of Top Air Cabin Crew Training Center. In the afternoon, different contested events were held. These included: Business Quiz Bee, HRM/Tourim Quiz Bee, Accounting Quiz Bee, Tour Guiding, Tour Package Proposal, and Product Presentation. There was also a Skills Olympics for the students of the HRTM Program on: Table Napkin Folding, Flair tending, Table Skirting, Cooking competition, Tour Guiding and Package Tour Proposal.